At 5pm Monday night, City Connection, Mayor Heartwell's live interactive public access show was simulcast right here on The Rapidian. 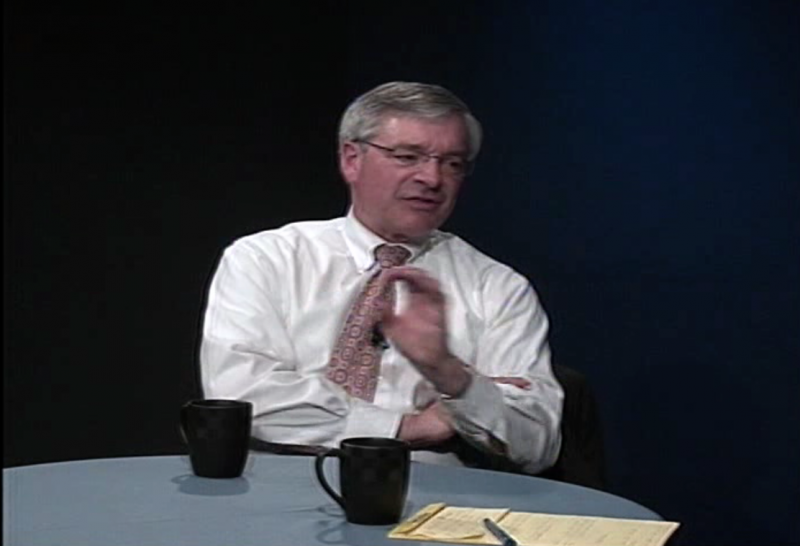 The program, now in its 19th year, is co-hosted by Grand Rapids mayor George Heartwell and GRCMC's Linda Gellasch, and is an opportunity for Grand Rapidians to talk with our mayor about important city issues. Monday's episode is a replacement for the previously planned for the evening of May 2nd, but was postponed due to a last second scheduling conflict. The May 2nd episode was scheduled on the day before a election to increase millage support for increased funding for The Rapid, Grand Rapids interurban transit partnership. Though hotly contested, the measure to increase bus frequency and begin development of the Rapid Silver Line, a bus rapid transit system, ultimately passed by a narrow margin. Citizens with any questions for Mayor Heartwell about the new plans for The Rapid or anything else can interact by leaving questions on The Rapidian articles, emailing [email protected], tweeting @GRTVaccess, leaving a Facebook comment, or by calling (616)459-4881. Then tune back in tonight at 5pm to hear him respond to you live on GRTV’s Livewire (channel 24 on Comcast) and streaming right here on The Rapidian. The next episode of City Connection will return to its regular schedule, airing in two weeks time on Monday, June 6th 2010 at 5pm.